The staff has 10 charges and regains 1 charge each morning on its own. The materials cost is subsumed in the cost of creation: 400 gp × the level of the highest-level spell × the level of the caster, plus 75% of the value of the next most costly ability (300 gp × the level of the spell × the level of the caster), plus 1/2 the value of any other abilities (200 gp × the level of the spell × the level of the caster). Staves are always fully charged (10 charges) when created. 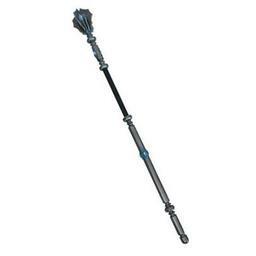 If desired, a spell can be placed into the staff at less than the normal cost, but then activating that particular spell drains additional charges from the staff. Divide the cost of the spell by the number of charges it consumes to determine its final price. Note that this does not change the order in which the spells are priced (the highest level spell is still priced first, even if it requires more than one charge to activate). The caster level of all spells in a staff must be the same, and no staff can have a caster level of less than 8th, even if all the spells in the staff are low-level spells.